What is the Torch Classic? 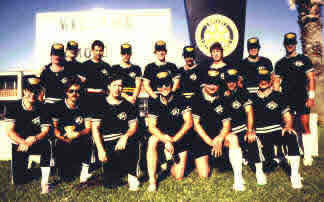 The Whiting Refinery Team at the first Classic in 1985 in Texas City. In 1985, Torch Classic founder Cory Webster, then a heavy equipment operator at Amoco’s Whiting refinery in Northwest Indiana, issued a challenge to sister refineries throughout North America to compete in a single softball game. The challenge? The losing team would fly the winning team’s state flag over their refinery for a year. A few months later, Webster received a reply — Texas City, Texas, had accepted the challenge. Long after the end of that afternoon of competition, Whiting and Texas participants reflected upon the camaraderie and the new friendships they had made. They knew this event was something special, and they also knew the experience was worth repeating. So it began. So it continues. Less than 100 people participated in the event that first year. It didn’t take long for word to spread, however, and in just two short years thousands of employees representing BP/Amoco facilities from all over the world joined in the fun. Now, 27 years later, we, the employees of Whiting and Texas City refineries, are once again issuing the challenge to all BP facilities worldwide, to come and play us in softball, basketball, tennis, volleyball, bowling, golf and a 5K run for charity for the 28th Annual Torch Classic. We will also be conducting Volunteer Day activities, where we will strive make a difference in the Whiting community. The challenge has been issued, now it’s up to all of you to join us for the fun! Hope to see you in Whiting this June! Check back often for the latest in Torch Classic information. A registration form must be filled out for EACH attendee. If you have any questions about registration or if your registration information should change, send a note to registration@torchclassic.com. The Whiting Torch Classic has chosen the Fairfield Inn by Marriott in Hammond, Indiana, as our host hotel. 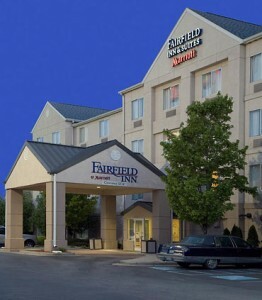 The room rate for the event is $105/night plus tax. Please reference “Torch Classic” when making your hotel reservations by phone. Use this link to book your reservations online. RESERVATIONS AT THIS SPECIAL RATE! June 1st is cut off date for reservation at this rate! Everyone will be responsible for their own travel arrangements. We may be working with a particular car rental vendor for our transportation needs. We will announce such arrangements and discount codes when they become available. Admin | Copyright © 2019 Torch Classic. All rights reserved.Site design, development & hosting by Small Web Solutions.